Each year it's the same. .... and there's calm after winter storms. ... for the coming crop of spuds. We stayed in Dunquin in April 2008. Wonderful memories of going to the fish monger in Dingle town and to the butcher off in a small alley off Main Street. What a treat to get fresh from the farm lamb. I've been to the Dingle years ago and hope to return someday. I'm working on a children's book and one scene is set in the Dingle. I'm trying to find a setting where the girl in the story would have a horse (kept at a nearby farmer's barn) and be able to ride to the sea. I have her looking down from a cliff and then going down a path to the sea but that can change! Would you be able to recommend a place on the peninsula for me to research for my setting? 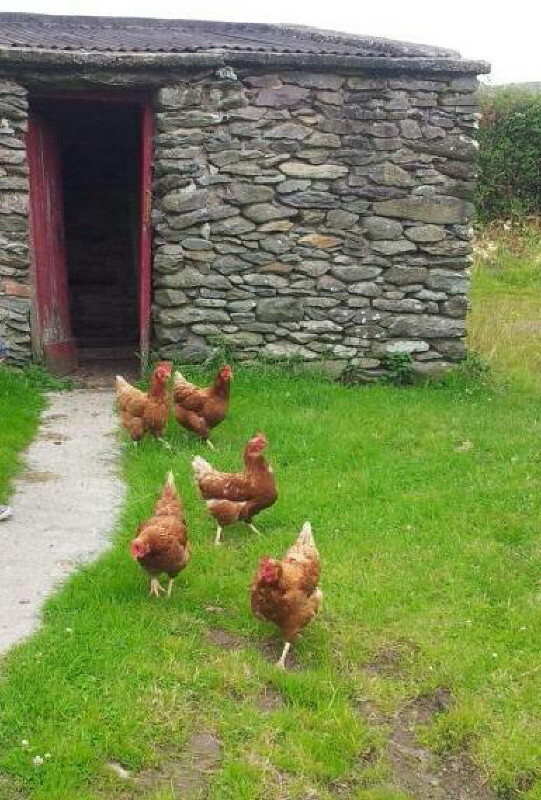 Also, are there still any farmers with livestock in the Dingle and do they have barns? I'm traveling around on Google Earth and can see the new buildings from the Celtic Tiger. It's changed since the 70's and looks more prosperous for sure. I can't think of anywhere on the peninsula where you could ride a horse directly from a clifftop to the sea. But there would certainly be paths leading to the beaches within a mile or two of any place where you can identify cliffs on Google Earth. Yes, there are many farms here with livestock on them, and many barns. 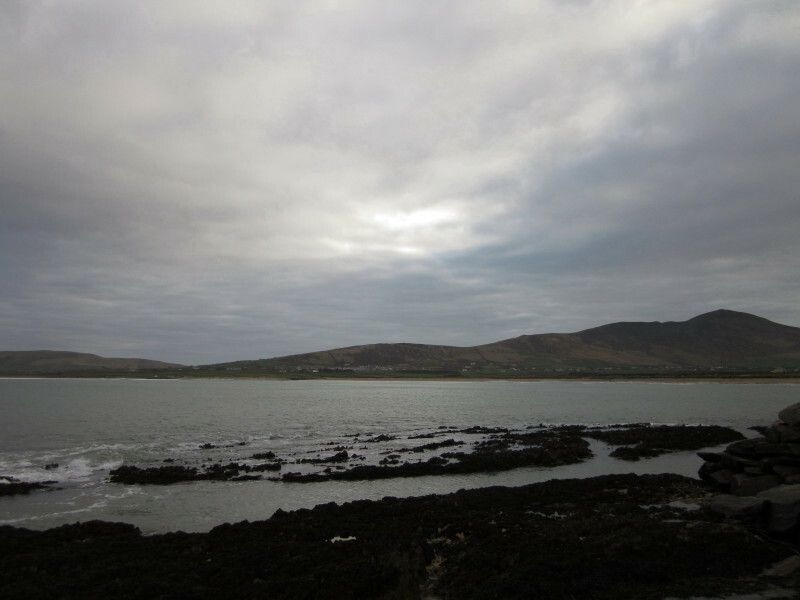 One thing - the peninsula itself is called 'the Dingle peninsula', Dingle town is called 'Dingle'. 'The Dingle' is never used for either. Very best wishes for your book. Thank you, I'll do some more Google Earth and pick a nice spot for the cottage and horse. I'm doing an intense rewrite but it seems to be coming along nicely. I just can't wait until we visit in May. You are writing about just the kind of experience I enjoy conversations with people, food from their local markets and shops. Do people get up and dance in the pubs? My friends and I love to dance. Your photos are such a bright spot in the middle of my Kansas (USA) winter. I hope to make it to Ireland one day to see the beauty for myself. Hi Dixie, thanks for your comment. Hope you'll make it Ireland one day. Make sure you give yourself time to take things slow and easy when you get here! Best, Felicity. I love your life! I am simply aching to visit Kerry again....thank you for a flavour of all that I love!